Discussion in 'Forza Horizon 4' started by GTPNewsWire, Oct 26, 2018. 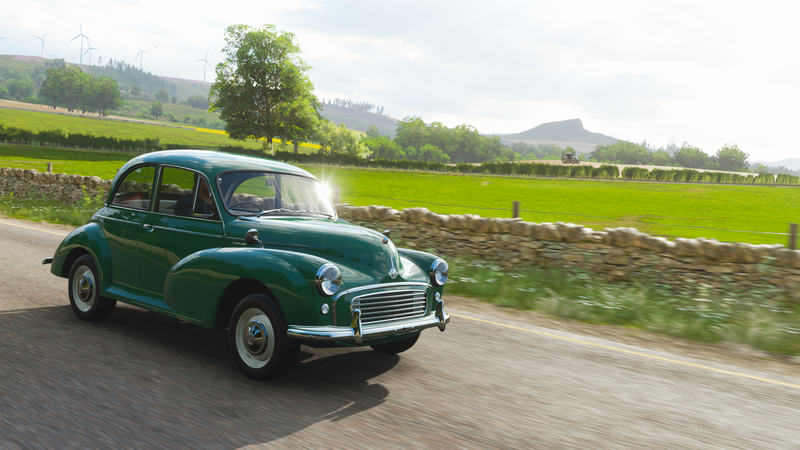 This article was published by Joe Donaldson (@Joey D) on October 25th, 2018 in the Forza Horizon 4 category. You've scared the crap out of me. I've checked my bank from the weekly challenge that I did yesterday and it's still there. Don't do that! It's not true that you need to do it in one session. Maybe he could choose other words, but a lot of us experienced this on previous Forzathons, so he has a point there. Now I do wonder why on earth can't I see the Seasonal Stunt on my map. XoticYamahaR1 and Imari like this. I think they said there was a fix for this in the latest content update but I don't want to take any chances. L8 Apex and raven214 like this. First time I hear about it. Previous two I didn't do in one session either and no problem. Lucky you. I have recorded evidence that it does happen though. I'm wondering if the people that haven't had this issue are the ones that use the "Instant on" mode on the Xbox, which essentially never shuts down the game. When was the last title update? I'm wondering because people were still having the issue last season as well with the Corrado. When was the last title update? Imari and raven214 like this. I'm wondering if the people that haven't had this issue are the ones that use the "Instant on" mode on the Xbox, which essentially never shuts down the game. I'm not using the instant on feature at all. And I am running different games, so I shut down the games. Ah thats good then, so it likely is fixed now since that was mid season. You seem to be one of the lucky ones then. I had the issue for about 2 seasons. ykiki and raven214 like this. I could've sworn I lost progress when I tried it yesterday afternoon. Maybe the patch didn't apply to my game or something? Well it's easy to replicate if that's the case. Just close the game completely and open it back up and try getting 100 points. If your score is set to 100 now, then yeah, it's still not working. I'll give it a shot when I get home. I twitted PG about it just in case. raven214 and prousonhairy like this. Does anyone else have problems claiming the 2 season pass cars? It’s now almost noon Europe CET 27th October and when I click the cars they say they will be released the 26th of October. I got the ultimate edition and the previous 4 weeks I could always claim the cars on Friday. Not sure what is going on. I already checked the Xbox Store if I needed to install an extra DLC after the Tuesday update but that was not the case. I'm having a hard time completing a cross country event for the daily achievement. limepie, Clark, HarlemG27 and 4 others like this. That indeed worked, thanks. Weird stuff as I even had to re-install it twice. Huh. Strange design... The more you know. Me too. I did 3 cross country races and nothing. Update: Ok, I checked the Forza forums and they said it should be a Cross Country sprint race and not a circuit? What's even more strange is if you install race brakes on that Mustang, the rear brakes are mounted to the wheel hub and are no longer inboard. I have a question. I found the Ford GT40 barn find car like almost 2 weeks ago and the car still isn’t done being restored. So my question is....is this normal for it to take this long for this car to be restored? Others took minutes, this one no so much. How do you acquire the HotWheels Twin-Mill car? Some cars take longer than others to restore. Do you pay the game often/a lot? Because I think it's calculated by game time over irl date... The Elise GT1 took hours for me to arrive, in the mean time I had time to find 3 cars and have them playable. I just want to say I appreciate that you can tell the spyder is a convertible from the cockpit view, which is important to wheel users. It's just one messy frustration, I tried 4 sets of 4 races and I absolutely can't be bothered with it anymore. Frustration 1: For starters, whoever the game picks as the leader of the group needs to have set his local difficulty to unbeatable. How do you find out who the leader is? I think the guy with the animation dance for race 1/4 but I'm not sure. Either way it seems to be a random pick of the 6 players. How do you know what difficulty he set? Other than speculating from seeing the drivatars in action, you can't know. So good luck racing 4/4 races, perhaps winning the darn thing and then not getting reward because Mr. Joe Schmoe set his drivatar difficulty below unbeatable. Frustration 2: The car class is open for this event and the drivatars copy the players somewhat. Meaning you see players from A to S2 and everything in between and the same for the drivatars. It just ends up a mixed pile of crap instead of a fun challenging race. Frustration 3: Playing with randoms against unbeatable drivatars is just impossible. I have a Caddy nicely tuned to S1 900 for dirt racing but Joe Schmoe the noob just joins in his A-class stock Corvette or Mustang. Frustration 4: There is always at least 1 noob that thinks he needs to pass you no matter the cost (AKA pushing you sideways or using you as a braking assist for him). XoticYamahaR1 and Techlet like this. What a mess. Why doesn't the game just force the difficulty level for the event? There should be no problem doing this as it has it's own event page. Also, I've seen the "leader" change between races. Would that mean the difficulty does too? I missed the chance to win the Twin Mill. Will I get another chance next summer?